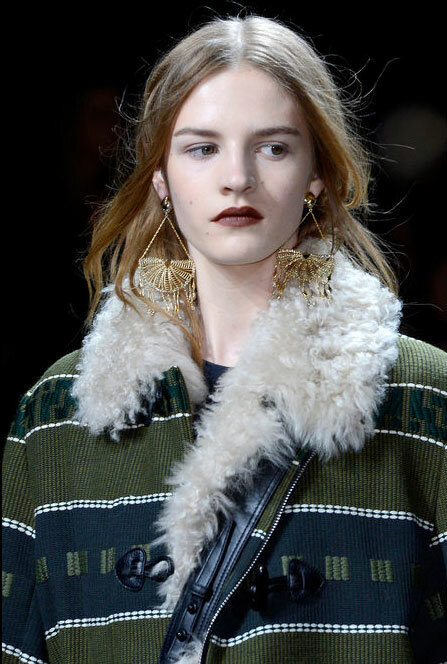 There was so much to love about Phillip Lim's Fall 2013 collection: the biker-inspired leather vests, zipper-trimmed sweatshirts, quilted mini skirts--and perhaps, most of all, the gold hippie-chic chandelier earrings. 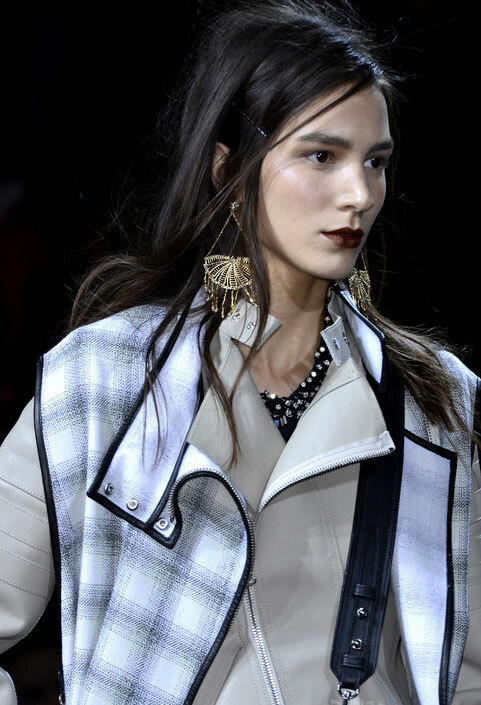 As Harper's Bazaar put it, the earrings "provided a chic lesson in contrast." The shoulder-grazing 10-karat and oxidized gold statement-makers were designed exclusively for Lim's show and will retail for $395, starting in July. In the meantime, you can get your fix with these dopplegangers from Wendy Mink, A Peace Treaty, Anthropologie (only $38! ), and Monserat De Lucca. Very nice leather stuff and complete outfit.